With the holiday season upon us, there is no better time to stop and take a moment to think about your senior loved ones. As seniors age, they become more sensitive and susceptible to different physical and mental health issues. However, the holidays are a time of year when many people get so busy and caught up with the demands of the season, that it can be easy to forget about the challenges that many seniors face. With this in mind, here are a few ways that you can make certain you are being more mindful of your senior loved one’s this holiday while looking out for signs of serious health conditions you may not be aware of. Plan your holiday events around your loved one’s schedule. It is so important for seniors to get on a schedule and stay on a schedule, no matter what demands may come their way. This means waking up, eating and going to bed at the same time each and every day, even during the holidays. Do your best to plan your holiday festivities around this schedule to accommodate your loved one. Make sure your loved one has a nap or quiet time every day during the holidays. This is so important for seniors as they need to have some time to themselves amid the chaos of holiday festivities. Look for changes in behavior or mood. If you don’t see your senior loved one every day, the holidays are a great time to look for signs of depression or other mental health issues. Problems such as fatigue, irritability, changes in sleep patterns, sadness, anger, weight loss or weight gain. Plan activities that will keep seniors included. When it comes to planning outings, activities and events, make sure that your senior loved one can still participate. Nothing can be as disheartening for seniors as feeling as though they aren’t able to be included in their family’s holiday celebrations. Encourage reminiscing. One of the great things about staying close with senior loved ones is that they have so many great memories and old stories to tell. The holidays is all about celebrating friends and family, so use this opportunity to reminisce with your loved one about their past and former holiday celebrations. Don’t push it too much. You may want to go at 100 miles per hour during the holiday season, but it doesn’t mean that your loved one does. Don’t over-do it during the holidays and make sure to take things slow and have reasonable expectations of your loved one and what they can or cannot handle. Keep these tips in mind this holiday season. 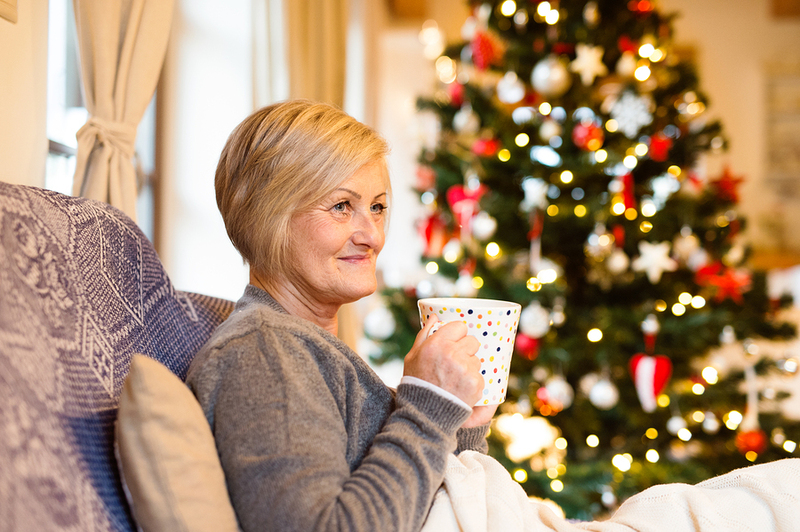 Being more mindful for your senior loved one’s needs especially during the holidays can help you ensure they are getting the assistance they need to live the best quality of life possible, no matter how they may be impacted by the aging process. Little tips like this can go a long way in helping any family make certain they are meeting the needs of their senior loved one this holiday season and all year round.